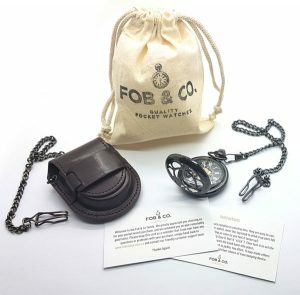 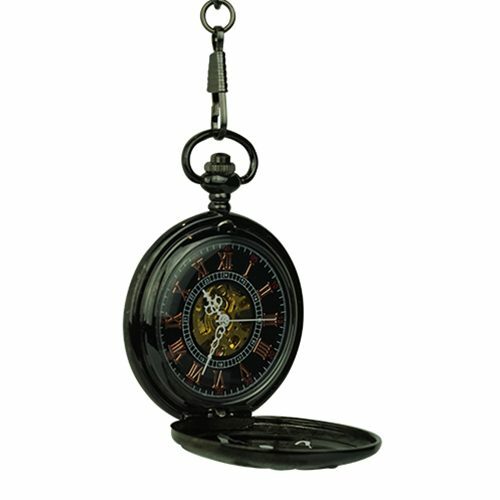 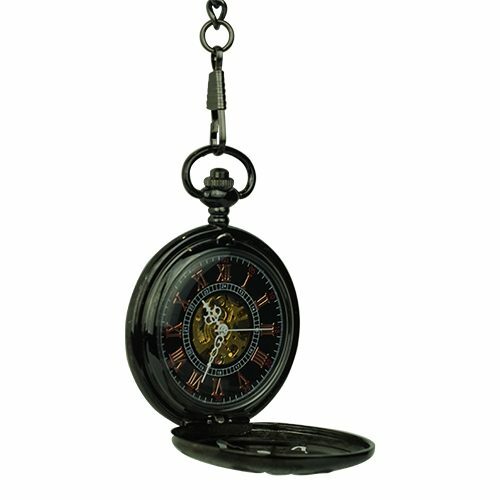 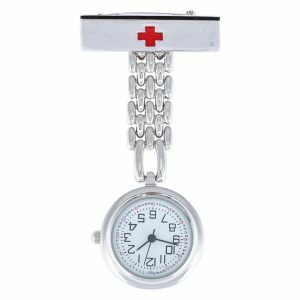 Black Metallic Snowflake Motif Pocket Watch - Fob & Co. 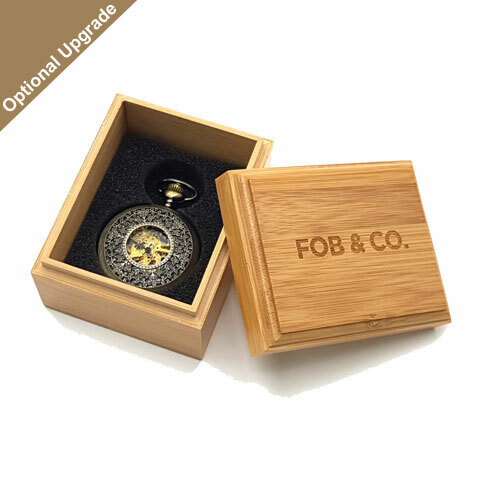 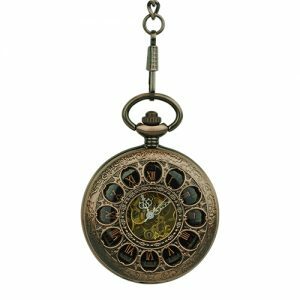 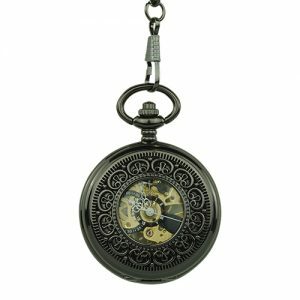 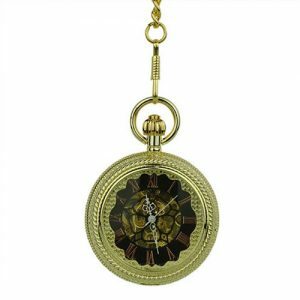 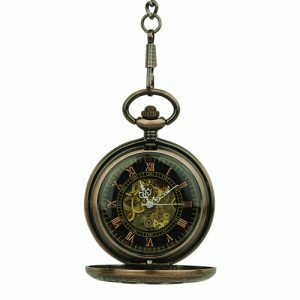 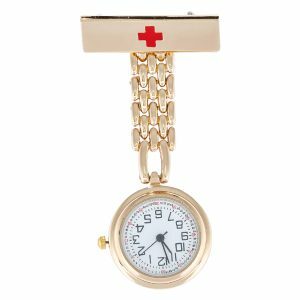 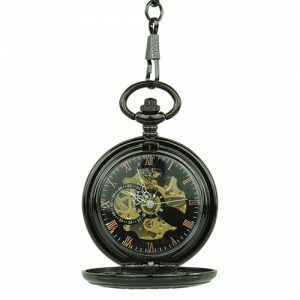 Finish a look perfectly with a finely detailed pocket watch that sports a black finished frame adorned with a lovely snowflake. 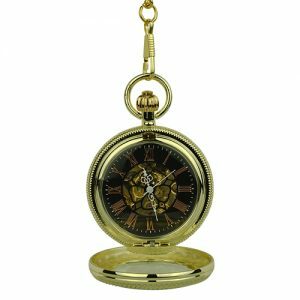 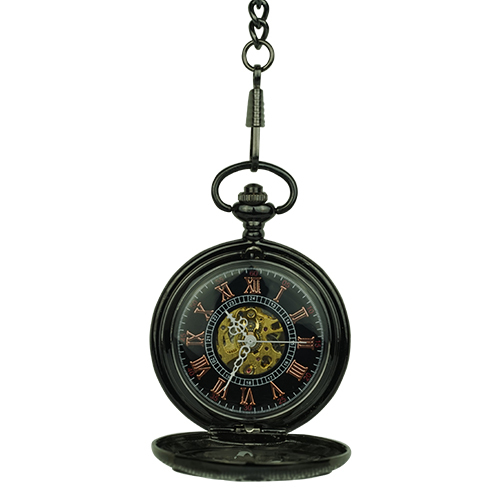 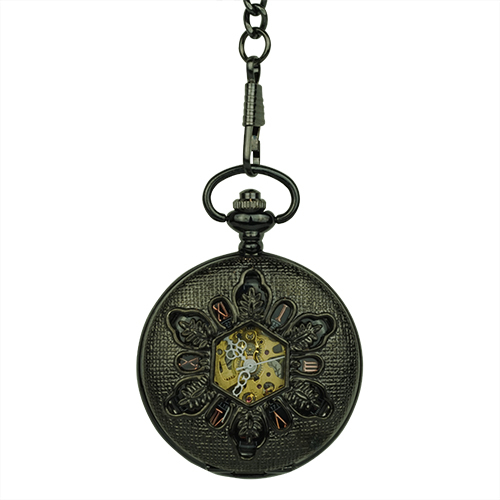 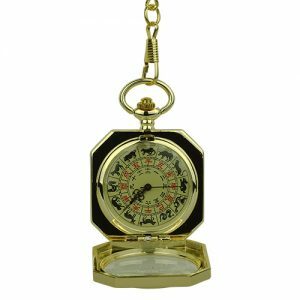 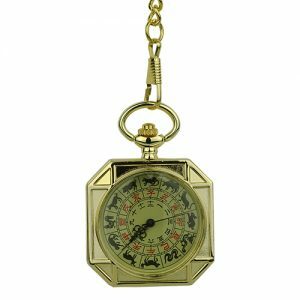 Brass coloured Roman numerals pop against a black background while at the centre is an intricately made golden skeleton.